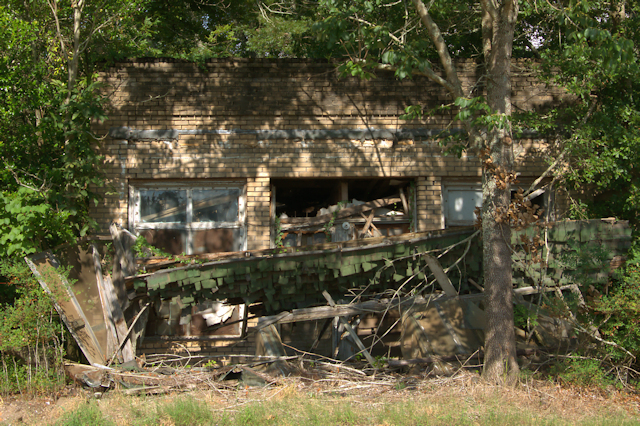 Mike Ley, via Mrs. Mary Elleen Willis Ley, writes that this was once known as Hollingsworth General Store, owned by Henry and Minnie Hollingsworth. 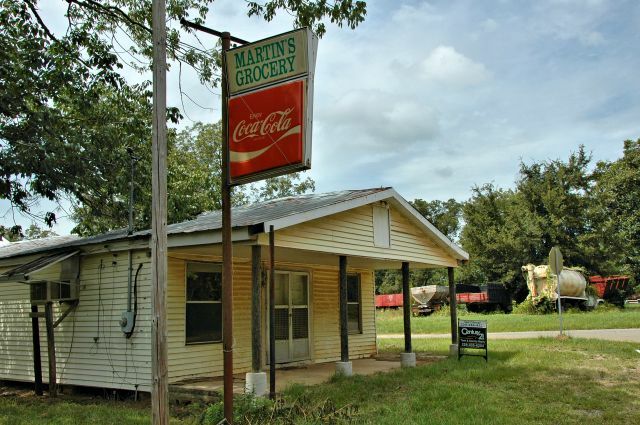 In 2011, David Chatman wrote: At one time this was “Williams Grocery”, owned by my Grandfather, Mr. Seth Williams. With certain daylight shining on the bricks just above the tin “patio” cover, the “Williams Grocery” name is still legible. I have a photo of my Grandfather standing in front of this store all dressed in his finest white shirt, a tie, the inevitable Fedora of the time, with the lettering shining brilliantly. 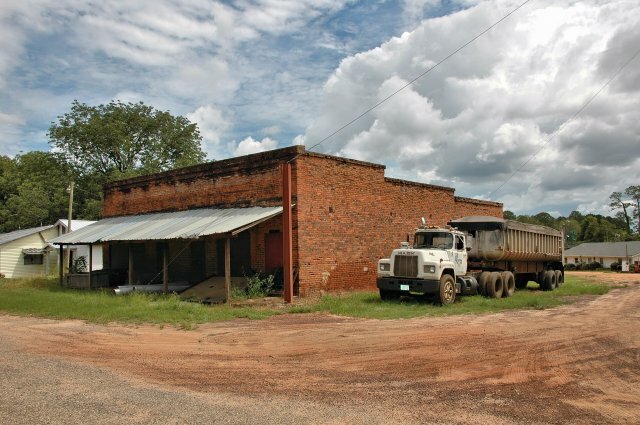 Stories within the family are that his Dad owned many acres of land just east of this store towards what is now Doerun, Ga. I imagine more people may know it as Williams Grocery. This was originally owned by the Crenshaw family. It was a popular place with farmers doing business at nearby Brown Milling Company.